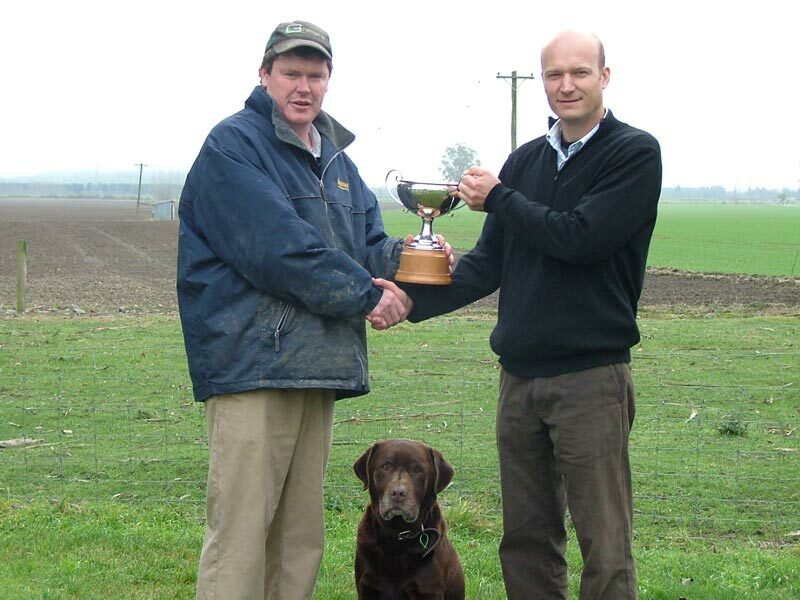 Edward Luisetti presents the Luisetti Seeds Paddock of the Year cup and prize to Guy Slater (and dog Moby). 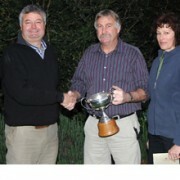 Congratulations to Guy and Jane Slater from Hilton, Geraldine, winners of the 2011 Luisetti seeds Paddock of the Year. 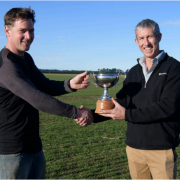 Guy and Jane’s prize winning crop was a 6.8ha paddock of Lone Ranger potatoes, yielding an impressive 597 tonne or just under 88 tonne per hectare. 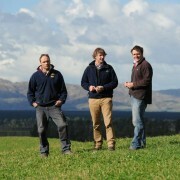 The potatoes were planted on 20th September at Wakanui on a ‘good’ Lismore soil. 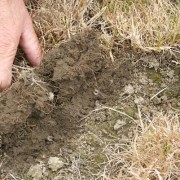 900kg of fertiliser per hectare and 1.5 litres of Amistar per hectare were applied at planting. 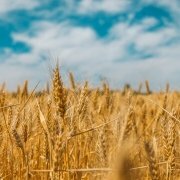 A further 500kg of fertiliser was applied in four applications, along with seven insecticide applications and nine fungicide applications. 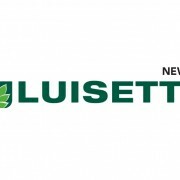 The chemical for this paddock was recommended and supplied by Luisetti Seeds. 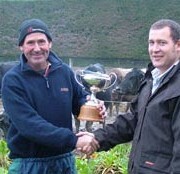 The potatoes were irrigated nine times throughout the season and were then desiccated mid March and dug in early May. Lone Ranger is a new processing potato bred by Plant & Food at Lincoln. Guy and Jane also used Plant & Food’s potato calculator, which prescribes nitrogen and water rates and timing. 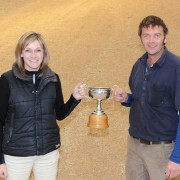 We would like to congratulate Guy and Jane on a fabulous effort in what was a tough growing season.